Wild garlic leaves have a fresh spring flavour that can be used in many different ways. 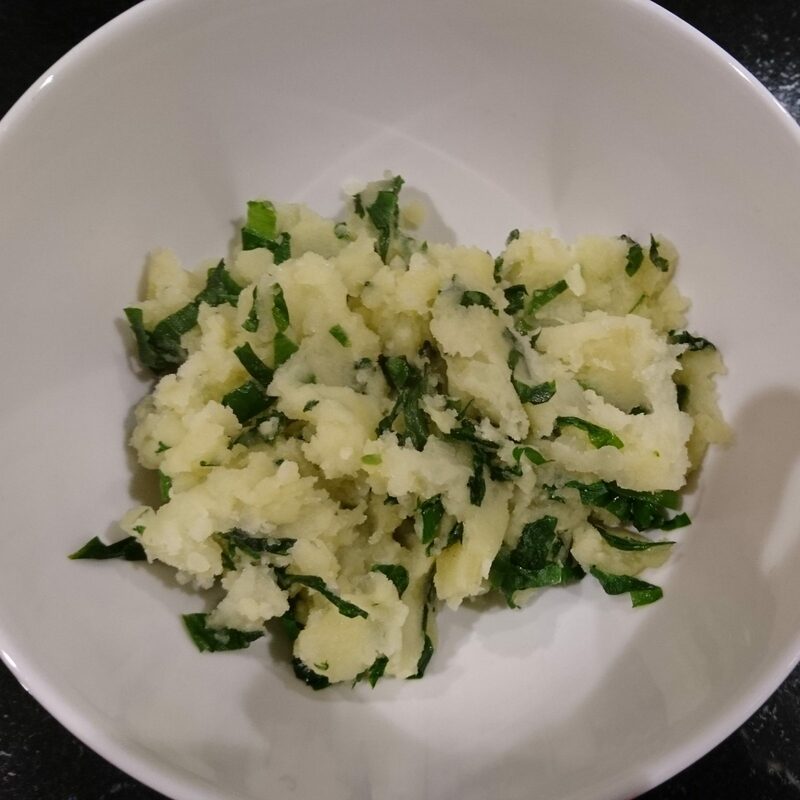 Sometimes simple is best and in this Delicious magazine recipe the wild garlic contrasts beautifully with the creamy mash. Put the potatoes in a pan of cold salted water and bring to the boil. Simmer for 20 minutes until very tender, then drain and return to the pan briefly over a low heat to dry. Melt the butter in a small pan and fry the wild garlic for 30 seconds. Mash the potatoes with the cream, nutmeg and most of the garlicky butter. Stir through the fried wild garlic and the rest of the butter. Taste, season and serve. 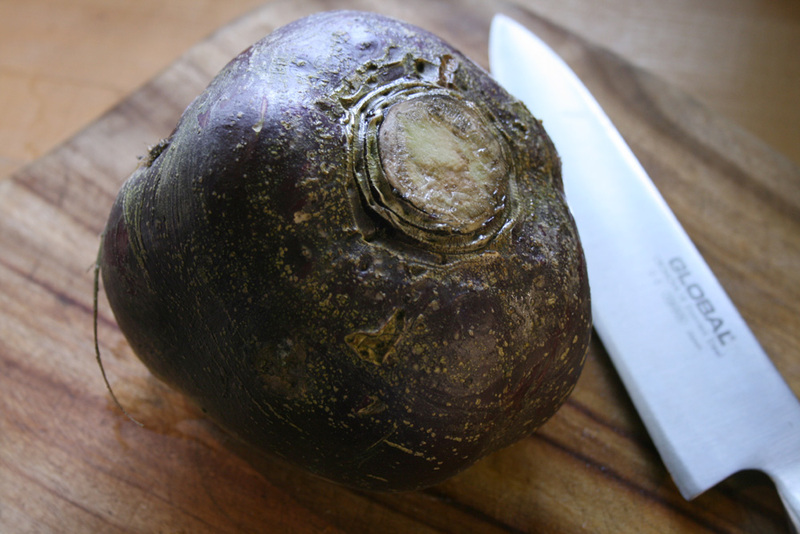 We grow a lot of beetroot, so I’m always on the outlook for new recipes. 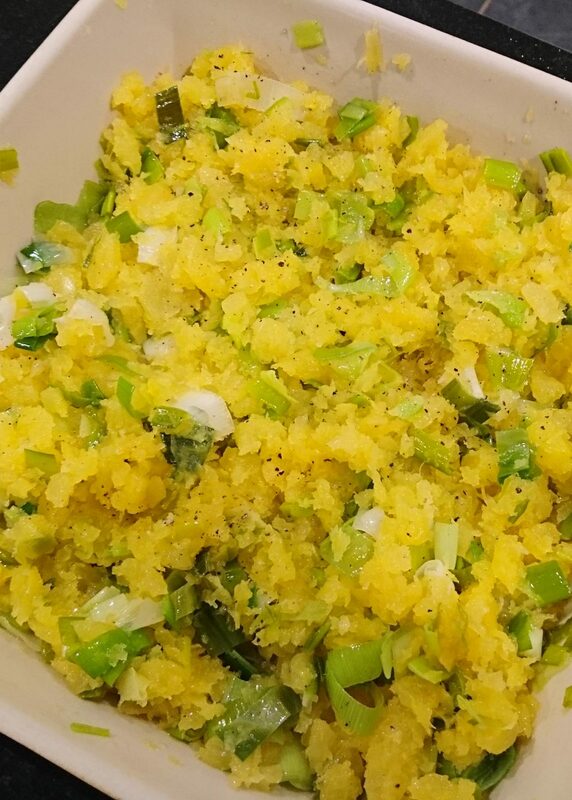 This is a subtly spicy side dish that goes well with dal, one of my all-time favourite comfort foods. Put the oil in a nonstick frying pan on a medium-high heat. When hot, add the asafoetida, quickly followed by the cumin seeds, and let them sizzle for a few seconds. Add the fenugreek seeds, stir, then add the beetroot, ginger, coriander and cumin. Stir for two to three minutes. Add the turmeric and chilli powder, and stir for a few seconds. Stir in the water and half a teaspoon of salt. 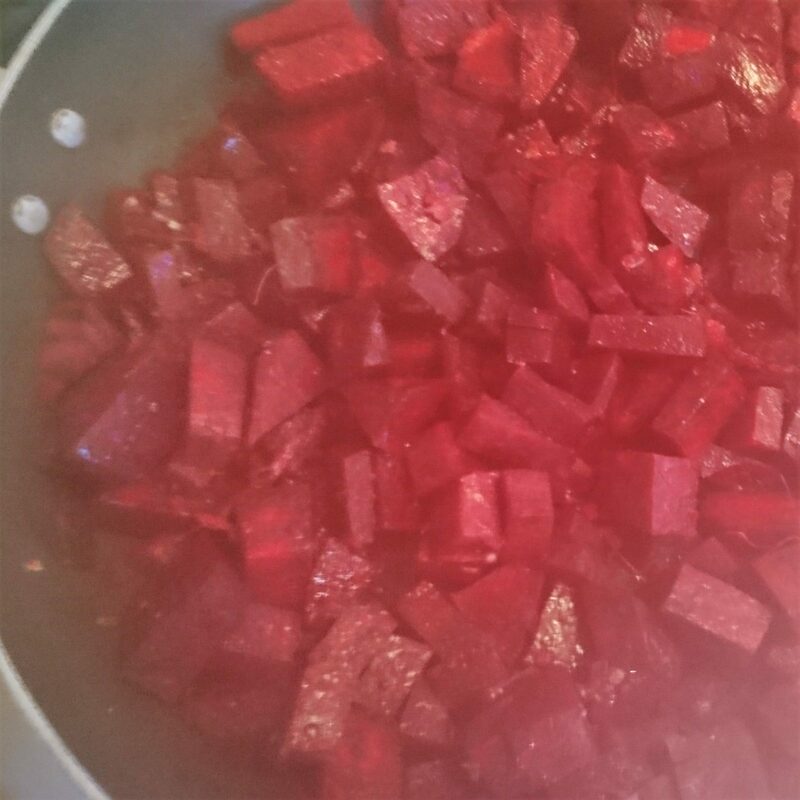 Bring to a boil, cover, lower the heat and cook gently for 20 minutes, until the beetroot is tender. Add the tomatoes and cook, uncovered, stirring over a high heat, for another two to three minutes, until the tomatoes are tender and well combined, and most of the liquid has been absorbed. Season as needed and serve. This quick and easy to prepare dish from Felicity Cloake is perfect for Veganuary‘. 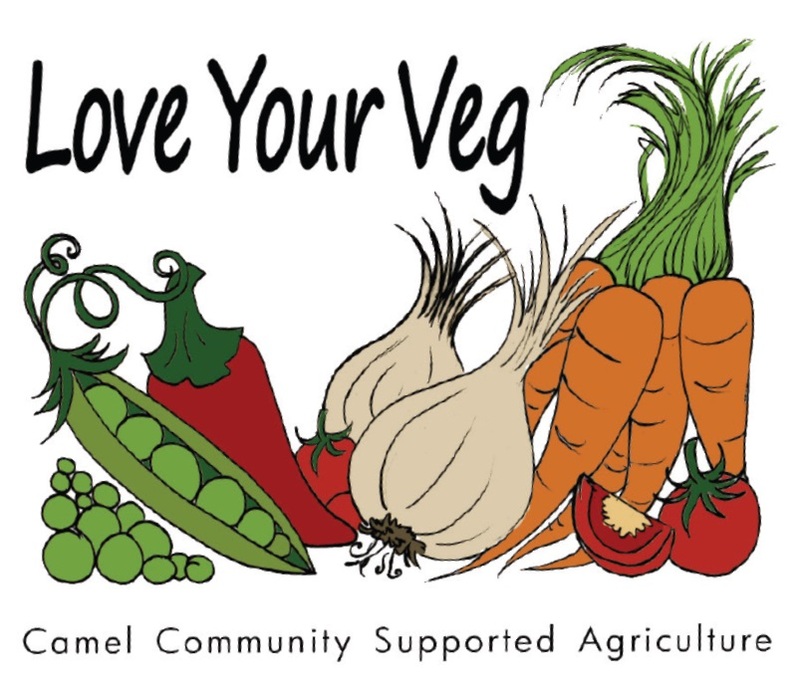 Absolutely no need to buy it ready to cook and ridiculously over-packaged from a supermarket! Wash the cauliflower and remove any leaves. Cut the stem so the cauliflower sits flat on a board, then cut into chunky cross sections about 2 cm thick. Put in a shallow dish and drizzle with olive oil and lemon juice. Season well, then cook on a very hot griddle or frying pan for about 5 minutes on each side, or until soft and charred. Scatter with chopped parsley and chilli flakes. Why not serve with chips? We did! This easy and very satisfying vegetarian gratin, good at lunchtime, is adapted from two recipes in Delicious magazine – one for a pastry-encased pie, the other for a pastry-based tart. Preheat the oven to 190C/fan 170C/Gas Mark 5. Meanwhile boil the potatoes for 3-4 minutes until beginning to soften. Drain and set aside. 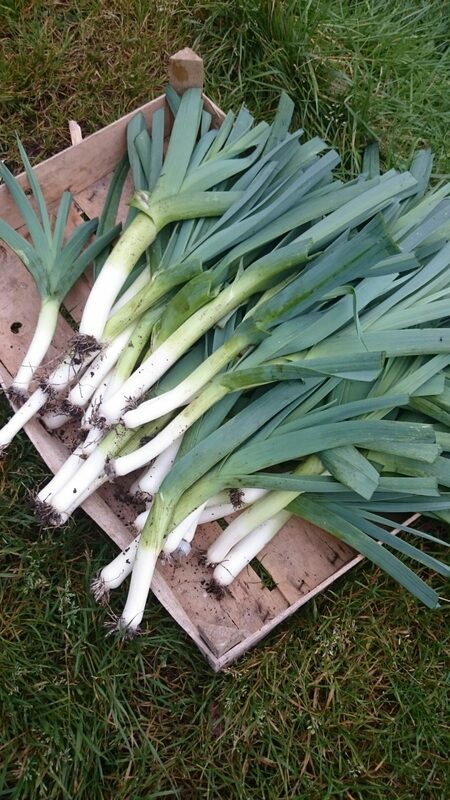 Clean the leeks, halve them lengthwise and chop into large pieces. Leave them whole if they’re small, slim ones. Steam or boil for three minutes, then drain and pat dry. Beat the eggs with the creme fraiche, cheese and garlic, then stir in the chives or parsley. Layer the potatoes in a greased gratin dish, arrange the leeks on top and pour over the egg mixture. Bake for 25 minutes until the filling has set and the top is golden.. Leave to rest for 10 minutes before serving. 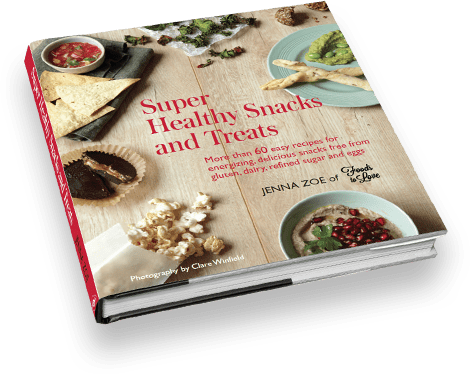 From Super Healthy Snacks and Treats by Jenna Zoe (via West Country FoodLover magazine). Preheat the oven to 200C/Gas 6. Line a baking sheet wih foil. Tear small pieces of kale off the stems and place them in a colander. Wash and then dry them as completely as possible – ideally they should be completely dry. Place the dry pieces in a large bowl. Put the tomato quarters and sun-dried tomatoes in a food processor. Pulse until smooth. scraping down the sides of the bowl as you go. It won’t seem a lot of mixture, as the idea is just to flavour the kale rather than cover it in a thick sauce. Add the paprika, cumin and salt, then as much cayenne and black pepper as you like. Process the mixture again and then pour it into the bowl of kale. Using your hands, toss the kale so it is evenly coated in the masala mixture. Spread the kale pieces on to the prepared baking sheet and bake in the oven with the door slightly ajar for 14-16 minutes. You will know the kale is ready when it is totally crispy and thin. Pre-heat the oven to 180C. Scrub the carrots to get off all the dirt and remove both ends with a sharp knife. 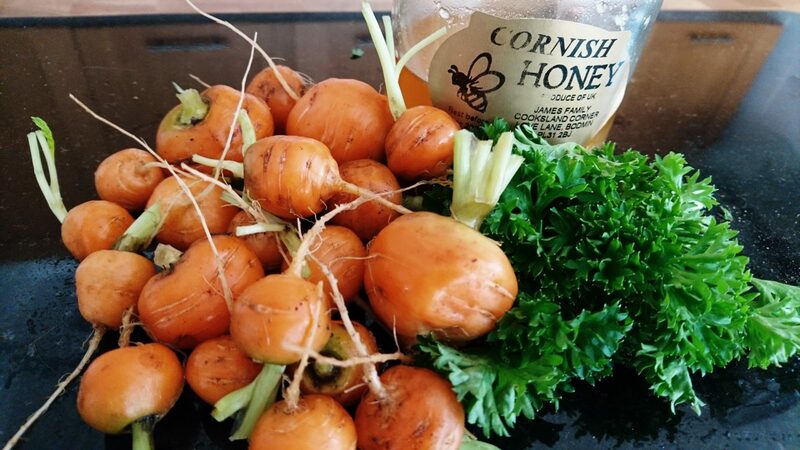 Place the cleaned carrots in a shallow oven dish, then season them and drizzle with the olive oil and honey. Rinse the thyme sprigs (or parsley) under running cold water and spread over the carrots. Roast them in the oven for about 20 minutes, depending on their size. They’re done when they’re slightly caramelized. They don’t have to be cooked a lot, it’s better if they have a little bite to them. 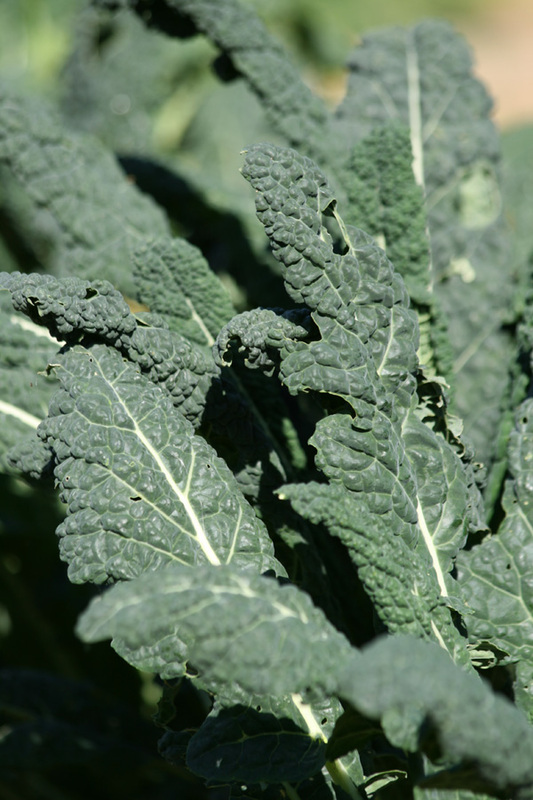 We’re so fortunate to have cavolo nero on our field and extra supplies available from our neighbours at Restharrow Farm, Trebetherick. This quick and easy supper dish comes from BBC Food. Bring a deep saucepan of water to a rolling boil and blanch the cavolo nero for one minute. Drain, and when cool enough to handle, chop finely. Heat the olive oil in a wide pan and fry the cavolo nero in it for a few minutes, over a moderately high heat, stirring constantly.At the same time, bring a pot of water to a boil and drop in the pasta to cook for two or three minutes until just tender. Drain the pasta and stir it into the kale with the lemon zest and juice, the chickpeas and half of the grated pecorino. Season, to taste, with salt and freshly ground black pepper. Serve the pasta in deep bowls with more cheese scattered over.